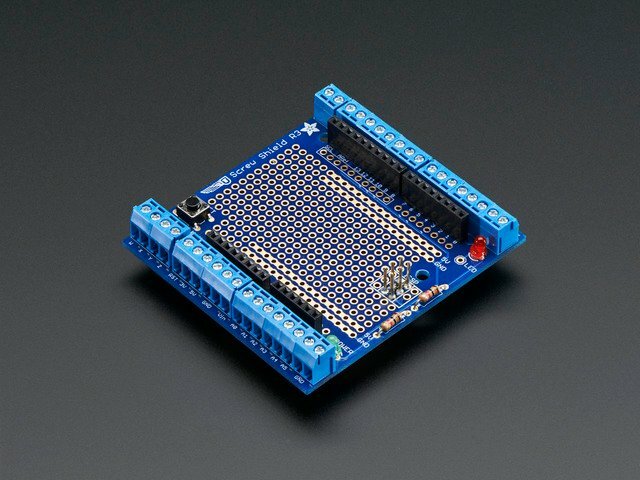 The proto-screwshield is the ultimate breakout board for an Arduino. It combines a prototyping shield with a full set of 3.5mm screw terminal blocks. 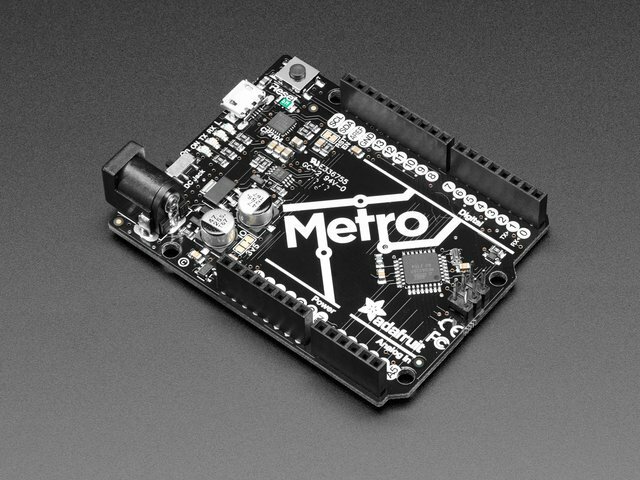 The protoshield part lets you build custom circuitry and then you can easily & securely connect wires and sensors to the terminal blocks. Great for panel mounts, buttons, sensors, enclosures etc. The shield even comes with stacking headers, which let you plug another shield on top! As shown here, a data logging shield is stacked onto the proto-screwshield. The proto-screwshield is based off of the Screw Shield by WingShield Industries (we just added a prototype area! This guide was first published on Jul 31, 2013. It was last updated on Jul 31, 2013. This page (Introduction) was last updated on Apr 18, 2019.